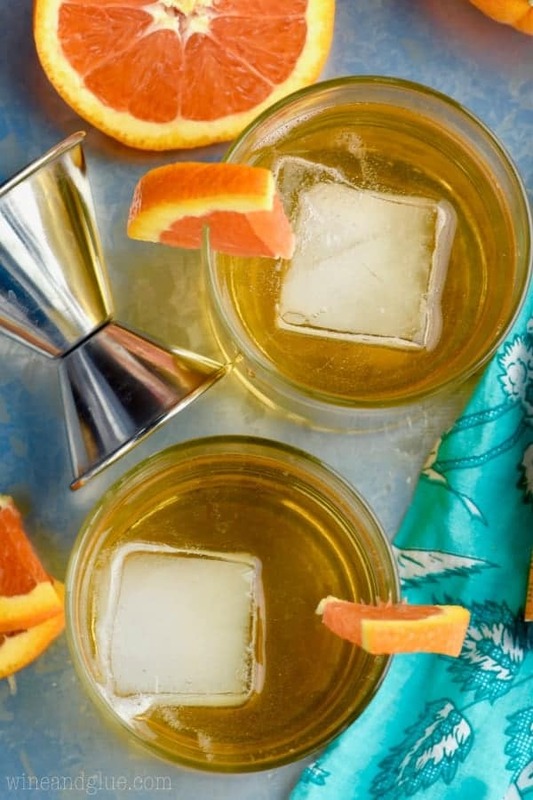 This Desert Wasteland Whiskey Cocktail is the perfect flavors of orange and whisky! So delicious, you’ll want to make it all the time! Desert Wasteland Whiskey Cocktail isn’t really a name that just rolls off your tongue, is it? So obviously this drink has a small story behind it. Okay, story is a stretch, lol. A few years ago, my childhood best friend, my sister from another mister, the one who knows where all the bodies are buried, moved to the Southwest. This is her second MAJOR move, and now she has been living there for like 18 years, okay not really 18 years, but going on two years (three years? I don’t know, time is a blur), and I still haven’t gone to visit her. I would say that her feelings about the Southwest are . . . . mixed. So mixed in fact that when she helped me come up with this Whiskey and Wine Cocktail she wanted to name it it Mixed Emotions™ (the ™ is absolutely intentional). She has come to call her new homeland Desert Wasteland™. And . . . . fair enough. You guys. She sent me a photo of a bobcat on her patio. And a video of this GINORMOUS snake just slithering around her house and last night, LAST NIGHT she sent me a text telling me that her husband saw a mountain lion. Oh, no big deal . . . JUST A MOUNTAIN LION! So it should tell you just how much I love her when I tell you that I’m going to visit her in just two weeks! #scorpionstoo Because what do you need more than anything when you live in a Desert Wasteland™? I mean, whiskey, obviously. But also? Visits from your friends!! It’s been far too long since I have gone to visit her (umm, like four years) and I could not be more excited. This drink is 100% her creation. She told me the things I needed to mix together and then told me to have at it. And sweet lord was it delicious. 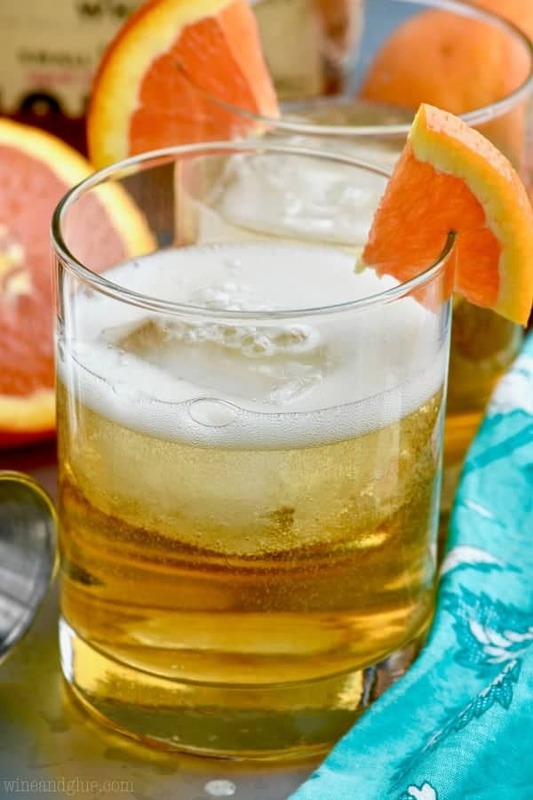 It starts with whiskey and then you add triple sec, or if you are feeling fancy, cointreau, some orange bitters, and some lemon lime soda. It is refreshing, it is amazing, and it is bound to help you forget that you live in a Desert Wasteland™ or that you haven’t visited your sister from another mister in four years. 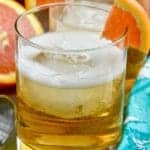 This Desert Wasteland Whiskey Cocktail is the perfect flavors of orange and whisky! So delicious, you'll want to make it all the time! 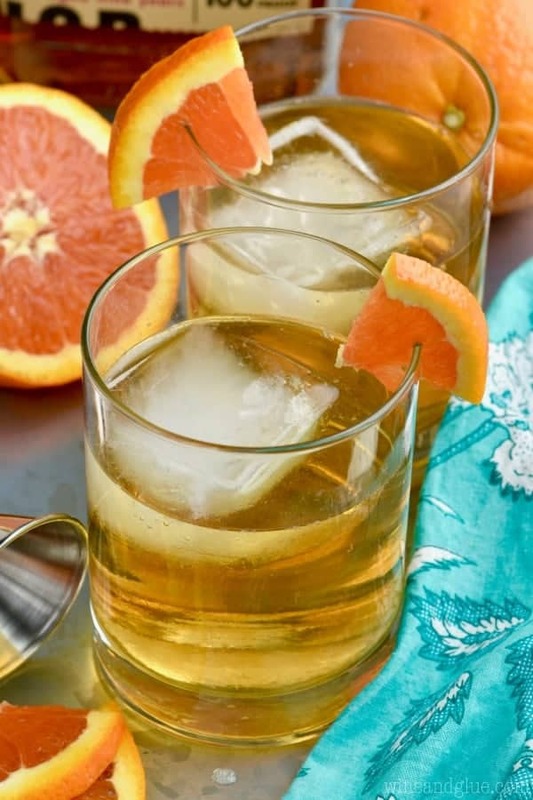 I’m dying to try this Irish Whiskey Smash from Well Plated! 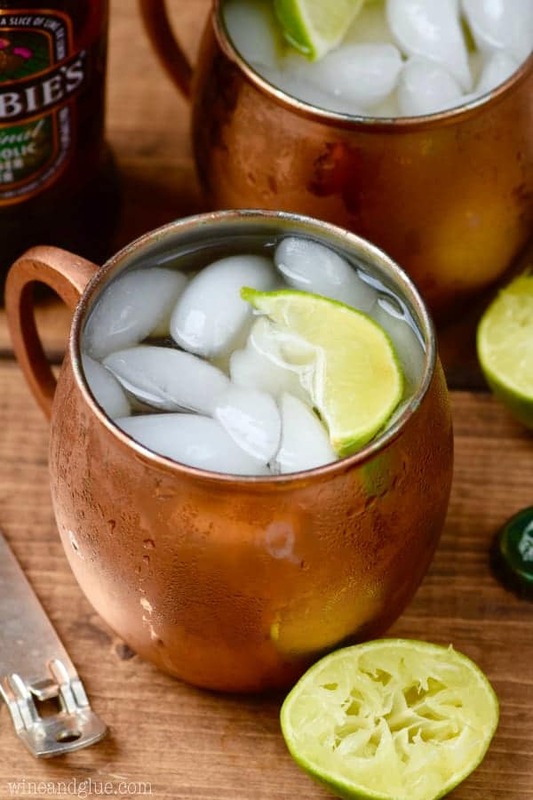 How can you beat combining whisky and a Moscow Mule in this Cold Toddy Whiskey Mule from Cupcakes and Kale Chips? And when you just need the classic grab this Whisky Sour from All Roads Lead to the Kitchen. Love it! This is officially on the happy hour menu for tonight…and all summer! I lived in Phoenix for 9 whole months and that was as much of the southwest as I could handle because yes the snakes and everything else…REAL! Eeek! I love the name of this cocktail! I am really looking forward to trying this! I was just wondering if you had ever used ginger ale instead of the lemon-lime soda? I haven’t, but I think it would be a good alternative! thanks for the great stories that come with it. I just tried this out. 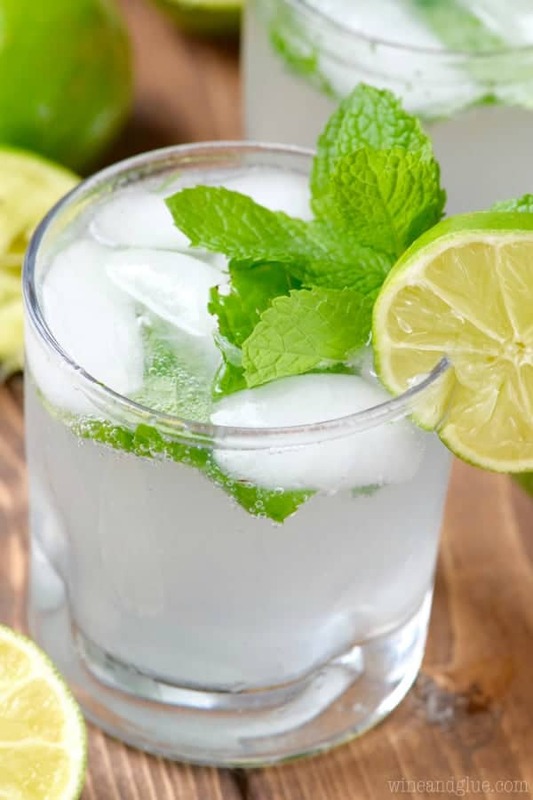 I usually like my whiskey with lemon because it really eliminates the strong whiskey taste and makes it a great cocktail. I didn’t expect orange to be such a great compliment to whiskey. I added a bit honey to make it sweeter.